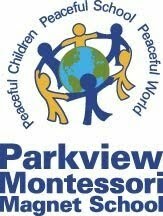 Parkview Montessori students raise money on A Walk for Water! Parkview Montessori Middle School students were proud to participate in A Walk for Water on May 7, 2010 to raise money for Amman Imman: Water is Life. The students walked 3 miles around the track at their school, in solidarity for the children of the Azawak who during their 9 month dry season must walk or ride a donkey over 30 miles in a day searching for water. While the children in the Azawak do not have a choice but rather must walk for water to survive and help their families, the Parkview students chose to walk together and raise funds, joining a growing movement of students working together to bring water to this vast region. Gathering together at the school pavilion before the walk started, their teacher Peggy Smith gave them each life saver candies to remind them that they were literally being life savers by taking part in this walk to raise money that will help finish the borehole recently drilled in the village of Kijigari. This structure will bring water to over 25,000 people and animals, those living within the village, surrounding communities, and traveling nomads. Boreholes drilled by Amman Imman in this vast valley bring an Oasis of Life, stimulating life promoting activities such as education, agriculture and economic opportunities which would not be possible without having water first. Mrs. Smith's class of 25 students raised over $460 for the event, contributing toward this life giving water source. In the week after the event as students talked about their school year with a council of elders as a part of their Heroic Journey Montessori year, many of them mentioned the walk and how much it meant to them to be given the opportunity to help the people of the Azawak. Thank you for coming together for "A Walk for Water" and joining in solidarity with the children of the Azawak. Today, as you walk, your spirits will unite with theirs, as they too will be walking long distances in search of water. Today you are walking to complete the Kijigari Montessori Well of Love. We are only $50,000 away from bringing your friends of Kijigari pure and sustainable water. As the height of the dry and hot season has set in, and temperatures have reached over 120 degrees, families wait impatiently for the drink of water you will soon help to provide. Thank you. Thank you for caring and loving your brothers and sisters that live across the ocean in a world unknown to you, and for taking precious time and energy to help save their lives. You are beautiful, you are powerful, and you are proactively making this world a better place. I wish I could be with you today as you walk for water. I, along with the entire Amman Imman team, join you in spirit.